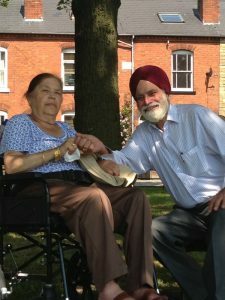 Balbir Ruprai and his family are taking part in their second Step Out for Stroke in Kings Heath Park on Sunday 17 May 2015, to raise vital funds for the Stroke Association. This year the family are doing the walk in memory of Deshi Kaur Ruprai who sadly passed away earlier this year after having two devastating strokes and a seizure. Deshi and Balbir were happily married for 56 years, and owned the award winning Nisa Convenience store on Station Road. Over the 36 years of running the local shop, the family have always been a huge part of the community. In early 2011 after a period of feeling unwell, Deshi had a heart attack and a mini-stroke (also known as a transient ischaemic attack or TIA). In September 2012, Deshi had a major stroke, leaving her paralysed down the left side of her body. 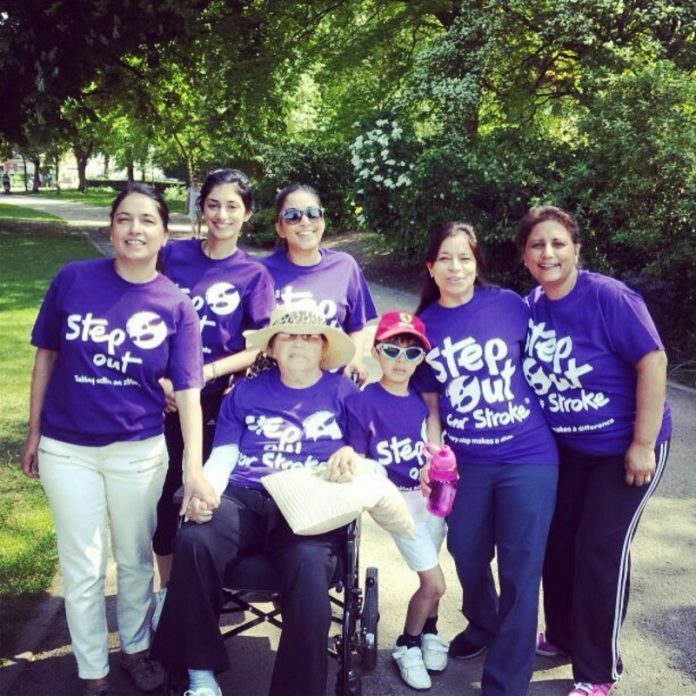 In the summer of 2014 the Ruprai family took part in Step out for Stroke at Kings Heath Park and raised £1,000 for the Stroke Association. Deshi sadly passed away in January 2015 following a seizure and another major stroke. This year the family will take part in the Step out for Stroke in Kings Heath again, in memory of Deshi. Jodie Smith from the Stroke Association, added: “In 2014 the Ruprai family blew me away with their determination and support – they are all truly inspirational people. It’s fantastic that the family are turning such a sad experience into something positive going forward. For more information on Step out for Stroke in Kings Heath and to enter your nearest walk, visit www.stroke.org.uk/stepout to help the Stroke Association turn the park purple for stroke.